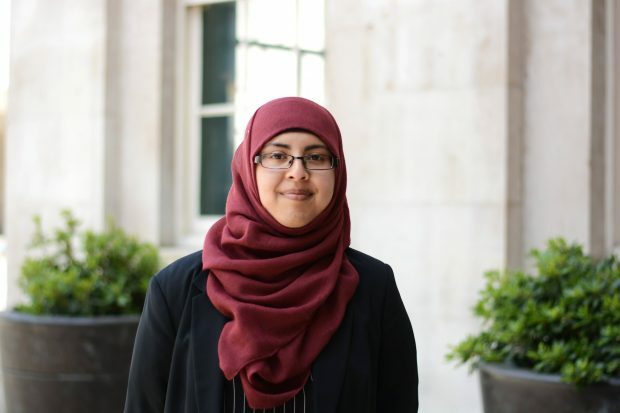 I’m Tasnia Khan, a HR Fast Streamer on my first rotation, currently working in the Leadership and Culture team at Caxton House. I’m about a month into my new role and I’m very excited to embark on my career in HR. I’ve received a very warm welcome and have settled in well, so that I can truly be me in DWP. Inclusion involves understanding and accepting others for who they are. An important aspect of it for me, a visibly observant Muslim, is others recognising that I don’t shake hands with people of the opposite gender and why this is. As wonderful as I knew my manager would be (simply from having spoken to him on the phone), I was a little bit apprehensive about meeting him in person for the first time. Before I started at Caxton House, I remember calling him to ask about how to prepare for my first day. During this conversation, I slipped in: “Just letting you know, to avoid awkwardness when I meet you in person for the first time, that I don’t shake hands with men for religious reasons.” As garbled as it may have sounded, I’d said it – phew! To my relief (and as I’d expected) he was 100% fine with it, and when I did meet him in person, there was no awkwardness whatsoever! However, as my time in the office progressed and I met more and more people, I had to politely refuse to shake the hands of more male colleagues. Some people were already aware of the reasons why and were very accepting, whilst others weren’t and were somewhat taken aback. One of my team once observed the look of shock on a male colleague’s face when I explained that I couldn’t shake his hand, and suggested holding something in my hands to prevent the situation reoccurring. On thinking about this, I felt that doing it would disguise an important part of my identity which would make me feel uncomfortable about being me at work. Instead, I wanted it to be clear that I was more than willing to explain why I do, or rather don’t do, what I do. After all, it is only through understanding that we can begin to accept and appreciate others for how they are, including the ways in which they differ from us. Now, after many refused handshakes, I am much more comfortable in greeting new male colleagues without one, whilst remaining cordial. It’s become second nature. Remaining true to my promise to explain why I don’t shake hands with those of the opposite gender, I will explain a bit about my beliefs. Within Islam and South Asian culture, modesty for both men and women is important. Due to this, we are encouraged not to interact with the opposite gender more than necessary. As much as I know that handshaking is a part of the corporate, but also the wider culture in which we live in, I also know how important my beliefs are to me. I know that I can do a great job whilst remaining true to my beliefs and have vowed that I will not lose myself to “fit in”. My religion has and will continue to play a very important part in my life. It can act as a lens from which I can see the world through and also as a comfort during adversity. It’s something that I hold tightly to. I am incredibly glad that I have entered an organisation which leans away from the one-size-fits-all approach, instead working to promote and celebrate our differences, which reflects the differences in our own customers. By accepting and understanding differences in each other, we can ultimately better understand and serve them. Given the concept of differences, I think it’s important to remember that some Muslims do shake hands with the opposite gender. This can leave those who are not Muslim very confused - do they or do they not extend their hand? A colleague of mine came up with an ingenious solution to this issue... For the men, allow the Muslim woman to make the first move. For the women, allow the Muslim man to make the first move. This should avoid awkwardness for both parties. For Muslims who don’t shake hands with the opposite gender, a nice alternative is using Justin Trudeau’s hand-on-heart greeting, whilst explicitly stating that you don’t shake hands. It would also be helpful to explain the reason(s) why. I’ve found that people genuinely accept and appreciate it once they understand, as some have not encountered this practice before. My experience has taught me that the workplace contains a vast array of characters who we have to learn to work with. I believe that explaining my faith and building mutual understanding will contribute to positive outcomes for all and help fellow Muslims to enter the corporate world with less apprehension.